I have the Vanity 103 HD board, which has four filters. I was unable to find anything on the forum about what these filters do. Other than the user guide saying #1 and #2 being sharp rolloff and #3 and #4 being slower rolloff. Are there any descriptions available as to what these rolloffs are? Corner frequencies, Db/Octave, etc. Or, maybe some graphs? Thank you for your question. The philosophy is that for each output sampling frequency there are two filters available - sharp and slow. The sharp filters have 1024 coefficients and they are optimized for the widest frequency bandwidth with maximum stop band attenuation. 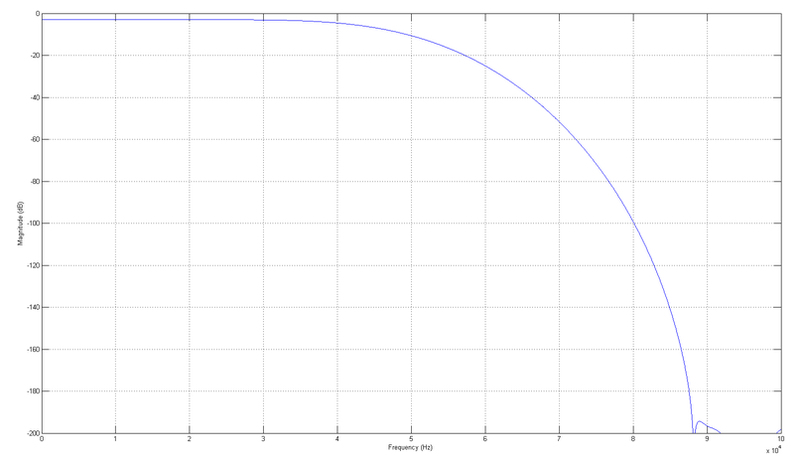 The corner frequency for 88.2kHz is about 20kHz and 44kHz for 176.4kHz. Slow filters have only 512 coefficients and they are optimized rather for time domain behavior with corner frequencies 25kHz and 55khz. 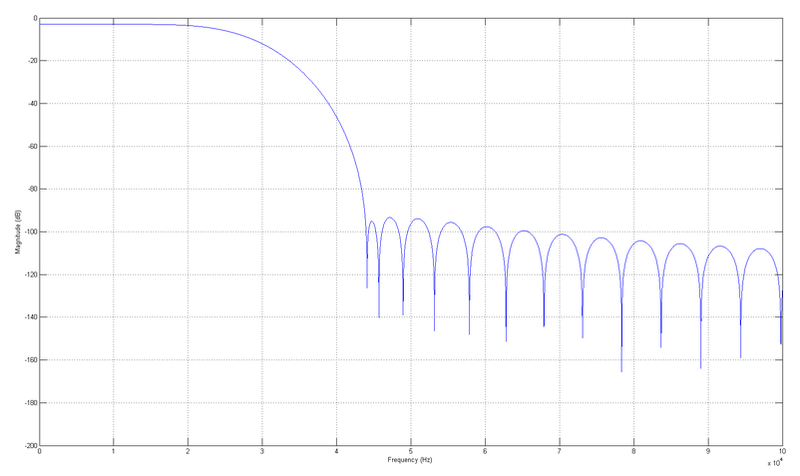 Both filter types have full attenuation before Nyquist allowing no aliasing in the decimation process. Edited 1 time(s). Last edit at 09/09/2017 11:20AM by AP. 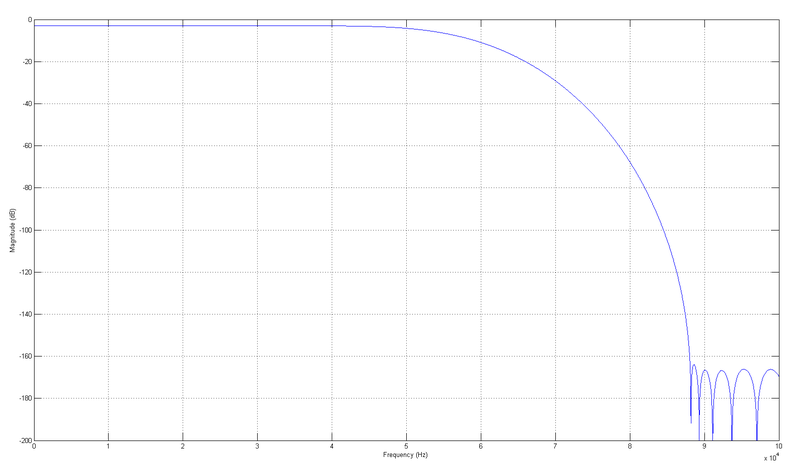 Looking forward to the graphs and wondering if you can show a time-domain graph to show pre and post ringing. In the meantime, anyone care to post their experience with the available filters, which they prefer and why? If the DAC in question accepts up to 192khz, I assume there is no reason to send the signal at 88.2 rather than 176.4, in which case the filter choice is narrowed to simply one between a sharp and a slow rolloff, yes? Proabably a stupid question, but is it ok or is it dangerous/ill-advised to switch a filter on/off in realtime for critical comparison? I ask if it's ill-advised because it would obviously require running the transport with the cover off. While on the subject of switches that affect filters and such, the description of the HD module on the website mentions data jitter reduction off/1-3, but I cannot seem to find how those selections are made. Is it through a combination of off/on with switches 6 and 7? Edited 1 time(s). Last edit at 08/22/2016 03:06AM by Mjay71. - If you DAC can accept 192kHz, there is no reason to feed it with 88.2kHz. Especially when there are all the filters (including those for 88.2kHz) available at 176.4kHz setting. - The "best" filter setting depends on many aspects and properties of the entire reproduction chain, therefore I don't think there is one universal answer to this question. Please feel free to experiment a bit here. - You can change the coefficient settings on the fly without any issues. Just pay extra attention to safety as there is mains voltage exposed on the OPPO's power supply board. - Please have look into the settings guide HERE. 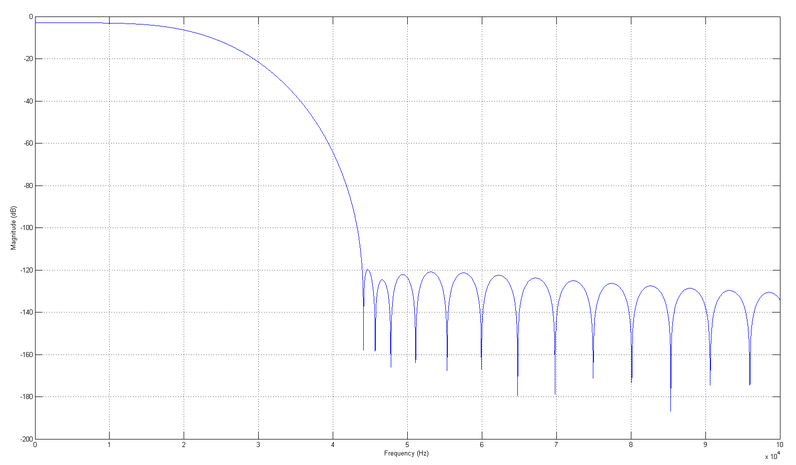 The jitter reduction is indeed controlled via switches 6-7. Thank you. Been experimenting and enjoying the sound. I haven't yet adjusted 6 & 7 for jitter reduction options, but it sure has sounded good so far with both in the off position. Hey, Pavel. Have you had a chance to dig up graphs comparing the filter responses? Will have a look and try not to forget this time. Thank you, Pavel. Looking forward to it. Another graph bump, but in the meantime, I'm interested in hearing user preferences between the sharp and the slow rolloff. Finally I had some time to play around with the filters again and export the plots. The order of the filters below is #1,#2,#3 and #4. As described in the manual, #1 and #2 are sharp and slow filter for 88.2kHz sampling frequency, #3 and #4 are sharp and slow for 176.4kHz. Thank you for the graphs, Pavel. I’m hearing the best sound using the filter with the 25kHz corner frequency (slow at 88.2). If what I’ve read is correct, DSD 64 has large HF noise beginning somewhere between 24-30khz, so the 25kHz filter would also objectively make the most sense, as it appears to be the closest to allowing the widest bandwidth of music while still filtering out all if not almost all the hf noise associated with the sacd DSD signal. Is this your understanding, as well? Regarding the jitter settings, I am getting good results with 6 off and 7 on. Do you know why that particular combination would be so effective? Edited 1 time(s). Last edit at 03/24/2018 09:46PM by Mjay71. Switches 6 and 7 alter some synchronization elements of the SPDIF stream - make them less or much more frequent to move them away from audio band. If you get better results with one particular setting, which is different from default, it may mean that your DAC is slightly sensitive to data jitter. And this is exactly the reason why this option is available.